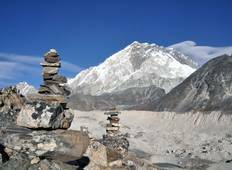 Explore a varied offer of budget adventure tours that will take you through some of the most renowned destinations such as Namche Bazar and Lukla. Each affordable tour will provide you with memorable experiences for some of the lowest prices on the market. "In 2018, I did the Everest Base Camp Trek with Trekking Hero. I began flying into..."
"Hari made our trip to ebc what it was. Was very caring, made sure all our requirements..."
"2nd time writing review - crashed first time!! When you take into account where you..."
"Pasang and Pemba Sherpa (cousins) are the best 1, 2 punch combination for Himalayan..."
"“Pemba was an amazing guide. He gave us plenty of information leading up to starting..."